Find the Course that suits you the Best. After the examinations, just when you bid goodbye to your long-term companion ‘Exam Stress’ a new one joins you; ‘Admission Stress’. Though studying is the cure for the first one, there is no fixed cure for the second. It is attached to many questions like which colleges to apply to, what courses to opt for, what is the best combination of subjects, will I be able to fulfill the eligibility criteria for the course of my interest etc. It is that crucial stage where we need make a decision that will turn the course of our academic life and shape our professional life for the years to come. Choosing a place that provides you, with the best exposure to extracurricular activities of your interest, give you the opportunity to interact with life examples of success along with providing quality education is very important. We at USTM believe in the overall development of a student rather than limiting the source of knowledge to just books. 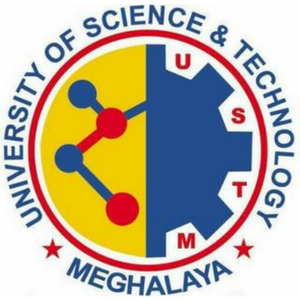 A one of its kind University in North East India, USTM provides a platform to the students of the region to explore and gain knowledge from a diversified range of courses for both Graduates and Under Graduates. Here is a list ofcourses that you can apply for at USTM, ranging from the ‘conventional’ to the ‘out of the box’. We have listed some of the courses that may interest you. Eligibility: HS (10+2) Science with Chemistry / Physics / Biology/Mathematics/ Computer Science securing 45% marks in aggregate (5% relaxation for Reserved Category). Career Prospects: You can choose from a wide range of options from being a Food Technologist, Nutritional therapist, Quality manager in food industry. Eligibility: HS (10+2) Science with Biology/ Chemistry / Physics / Mathematics / Computer Science securing 45% marks in aggregate (5% relaxation for Reserved Categories). Career Prospects: You can choose to work with a hospital or practice independently as a physiotherapist. You can also have rare opportunity to work a physiotherapist with sports teams, both national and international. Eligibility: Any Graduate with minimum 45% marks in aggregate (5% relaxation for reserved category). Specialization: Marketing, Finance and Human Recourses. Career Prospects: Today MBA is one of the top professional courses that students opt for. A degree in MBA opens many doors for you, especially in the corporate sector from a HR professional to Marketing manager, Finance head to Operations manager. Career Prospects: If you have an interest in working towards the welfare of the society, you can make it your profession. With a degree in Social Work you can avail opportunities to work as a social worker in sectors such as health care, social welfare organizations, NGO’s, Community Agencies etc. Eligibility: Higher Secondary (10+2) in any discipline securing 45% marks in aggregate (5%relaxation for reserved categories). Career Prospects: The study of psychology has varied range like Physiological psychology, Health psychology, Clinical psychology, Social psychology etc. Likewise the career options are also limitless. You can be a career counselor, clinical psychologist, Industrial & Organizational psychologist, Special Education Teacher etc. Career prospects: A law degree makes you eligible to as an advocate in the Court of Law, legal adviser for corporate firms, Solicitor or Public prosecutor to Govt. departments and Ministries. Eligibility: Any graduate with at least 45% marks in aggregate (5% relaxation for reserved categories). Career Prospects: As unconventional as it may sound but it provides good job prospects and you will enjoy doing your work if love wildlife and contribute towards conserving it. You can work in offices, laboratories or outdoors with both Government and Non Government organizations that deals with preservation of wildlife and forest resources. You can also carry out research work with Indian Council of Forestry Research and Education and other Wildlife Research Institutes. USTM believes in helping students unearth the best within them and around them, and accordingly prepares them for the future. In offering a diverse range of subjects as part of its UG and PG courses, USTM remains committed to its mission of delivering the best in education in the entire North East region. Courses as the ones mentioned above help students proliferate their innate capabilities and forward their dreams in both conventional and unconventional areas.